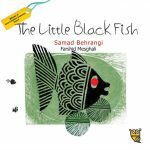 The Little Black Fish is a striking classic! 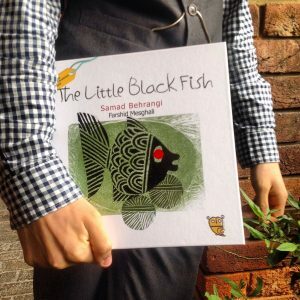 CLPE wrote a fantastic review of The Little Black Fish for World Book Day 2015! 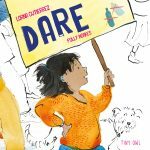 Read it below! 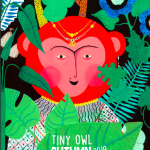 On World Book Day, it’s good to be able to feature a picture book from a new publishing house that plans to make more international children’s literature available in the UK. 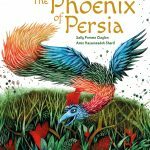 They are beginning with some eye-catching books from Iran, both classic and contemporary. The Little Black Fish dares to defy his mother and their community and swim away from the small section of the stream which circumscribes their lives on a quest to discover ‘if the stream goes on and on, or whether it comes to an end.’ Throughout his journey he meets other creatures who believe that there is nowhere else beyond their own confined environment and that their ways of living and thinking are the only way to be. 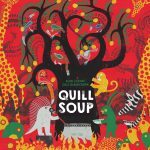 This classic picture book can be read as a political allegory and will stimulate discussion. The illustrations by Hans Christian Andersen Award winner Farshid Mesghali make striking use of block printing for the fish and other creatures including a devious pelican and are set against mixed media backgrounds.